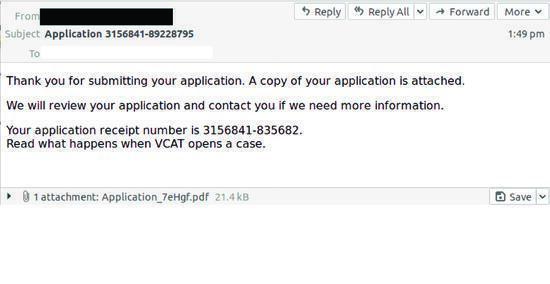 VicRoads and Victorian Civil And Administrative Tribunal (VCAT) are among the latest victims of brandjacking by cybercriminals. 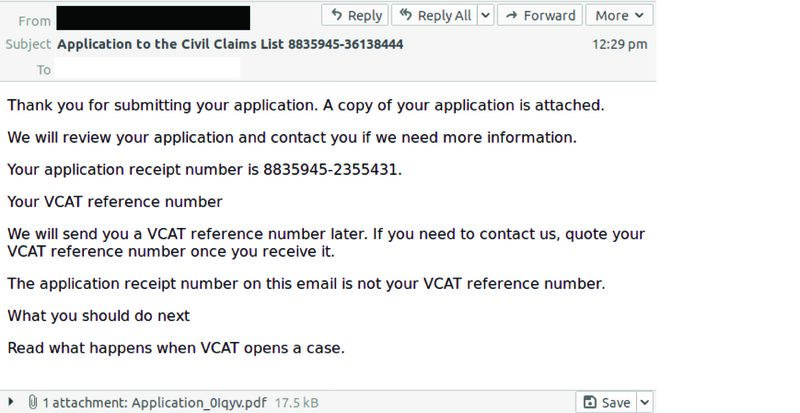 MailGuard intercepted two variations of a payload email scam involving the government bodies on Monday afternoon (AEST). Appearing without a display name, the emails actually come from what appears to be a compromised Sparkpost account. There is a PDF file attached with both emails. Upon opening the PDF, recipients are directed to click on a link to a site that then begins the download of a malicious .zip file. This is designed to infect recipients’ computers. 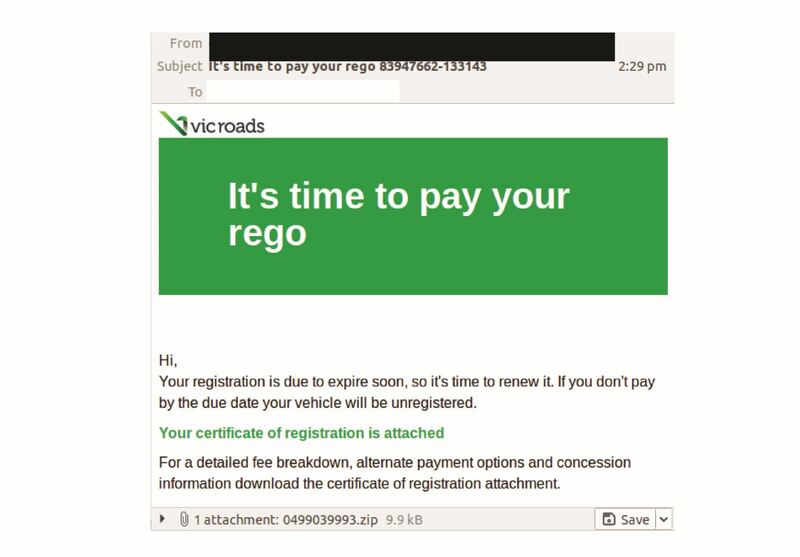 The second variation of this email scam purports to be from VicRoads and includes the subject "It's time to pay your rego 9823892-129381"
Recipients who download the attachment are led to a .zip file containing a malicious .vbs file. Government bodies such as VicRoads are often susceptible to being impersonated by cybercriminals during email scams as more people are likely to open an email or attachment from such authoritative and trustworthy organisations. In addition, cybercriminals also target such organisations as they deal with larger groups of people on an everyday basis, hence leading to a wider victim pool. Ensure your email security is up to scratch. A cloud-based, AI-based threat detection service such as MailGuard will protect your staff in real-time from targeted attacks, without the dangerous time-lag common with signature-based antivirus vendors.